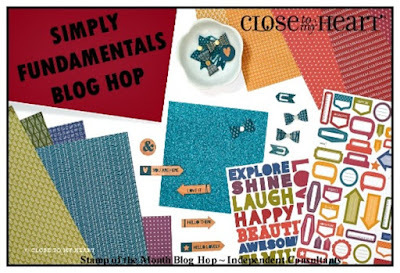 Welcome to our Simply Fundamental Blog Hop! During the month of November you can choose an Album Bundle for $71.80 USD). See the end of my post below to see what this fabulous bundle includes! We love this deal so much, we decided to have a Simply Fundamental Blog Hop for you! Over 25 consultants have created something to share with the Fundamental Papers. This hop will be a lot of fun and I'm sure will inspire you! If you came from Terrie Shortsleeve's blog you are on the right track! The hop is one big circle so when you get back to the blog you started with you will know you have visited everyone! 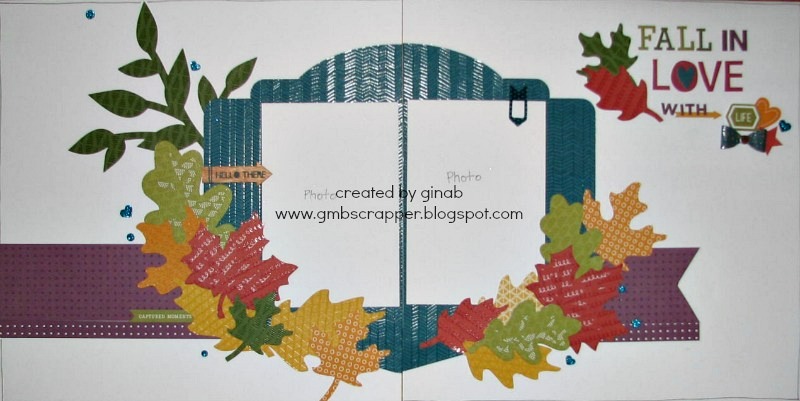 I created a fall layout for this hop using leaves from the Close To My Heart Cricut Cartridges - Art Philosophy, Artiste and Artistry. Some of the leaves are layered so this was a great opportunity to showcase the opposite side of the paper. The large center shape is from the new Artistry cartridge. I just sized it to fit the paper and then I cut it in half to span the two pages. My title for my layout is a combination of letters from individual words on the word sticker sheet and the small letters are from the small alphabet sheet. 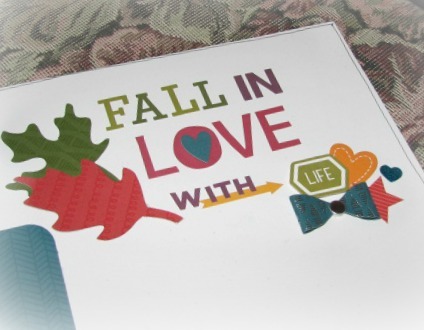 I love that there are so many options to what you can create with these four sticker sheets! My final touches were to add the glitter peacock adhesive dots and hearts from Fundamental Assortments. Ready for more inspiration? Hop over the Haley's Blog to see what she has created. And that is not all! Check out THESE 5 LAYOUTS that you can create with everything in your bundle!! Just print out the cutting guide and instructions and start creating! What an awesome deal! To order your Album Bundle today head over to my website now! Beautiful layout! Lots of Cricut work there....amazing. Love the colors too! The leaves look great using different Fundamentals colors/patterns. This layout is so pretty! 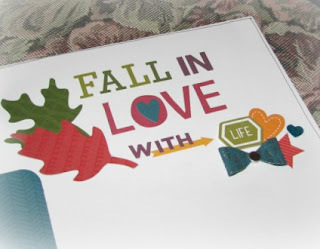 I love how you used both sides of the paper for the layers of leaves. Lovely layout the colors are so rich. CYBERWEEK SALE at Close To My Heart! Fun Christmas Gifts to Celebrate the Season! Give a Pint of Fun for Christmas!